How many times have you found the cutest shoes, purse, jewelry, dress, sweater, etc., looked at the price tag, had a mini aneurysm from the price and cried as you walked away from it? Probably more times than you can count, am I right? Thankfully there's a solution; look alikes. Yes, dupes, replica, inspired by, or whatever name you want to call them! 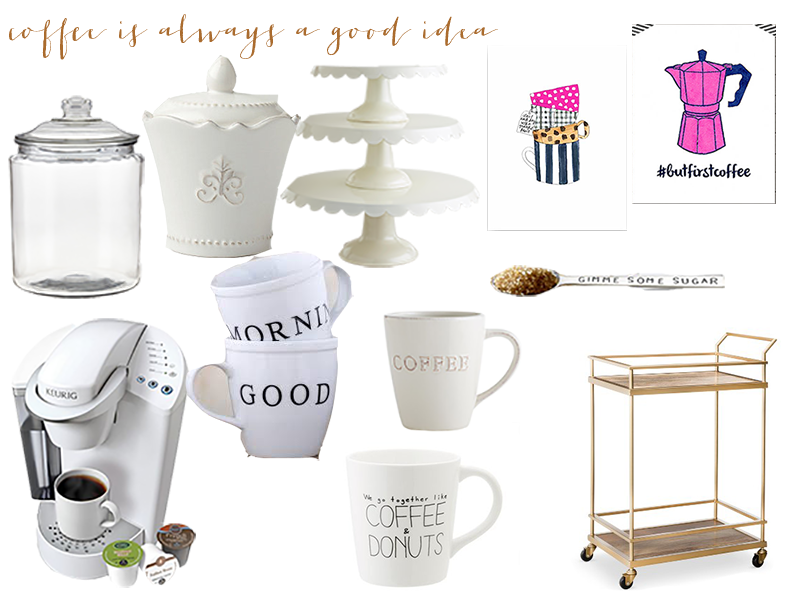 Today I'm sharing with you a few of my real vs. steal items and where you can get your hands on them! Obviously there are certain differences to look alikes but for the most part they do a pretty good job of looking like the real thing. To be honest I actually prefer the look of the Forever21 watch over the Daniel Wellington #sorrynotsorry. As you can tell Forever21 is all about the look alikes. 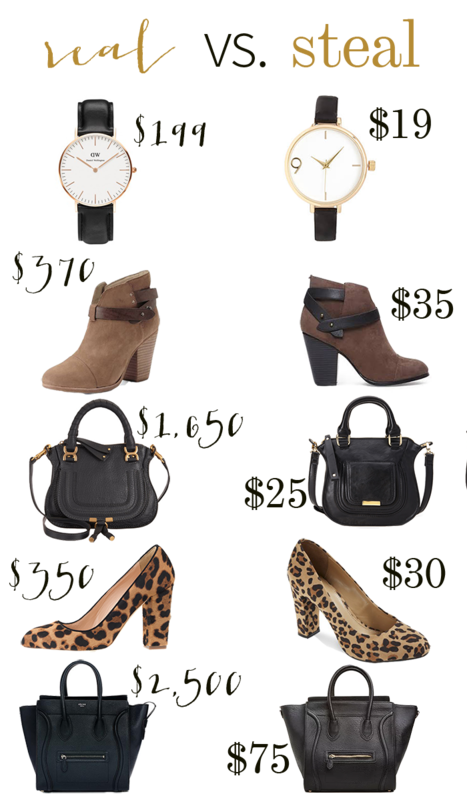 Some other great places to look for dupes are TJ Maxx, Marshall's and Ross, generally stores that follow the trends and designers pretty closely. "fake it till you can buy a real one"
Today I'm sharing with you all an outfit I wore over the weekend. 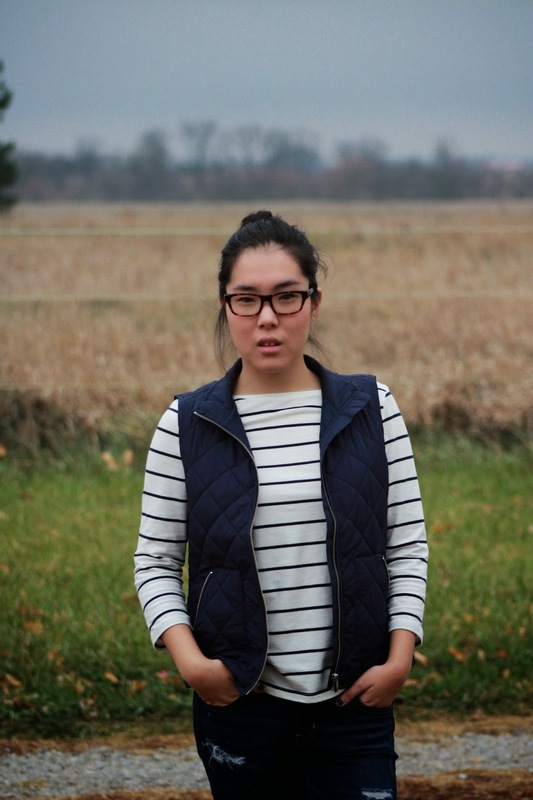 It's been unusually warm for Kansas in November so I took advantage of not having to wear a hundred layers. I went out to lunch with my family and decided to wear this little number. I'm obsessed with smoking loafers/flats/slippers or whatever you wanna call them. I have 3 pairs and am heavily contemplating buying these beauts for myself for Christmas. I think they're so stylish, classic and add a bit of nostalgia to an outfit. These ones are from Old Navy I purchased awhile back. Last time I was in my local store they were on clearance. I can't seem to find them on their website so I'd check your local store for them! I love the bright red color and blue tassels! They're a great shoe for the holiday's, very festive! They add such a nice pop of color to an outfit.And they're extremely comfortable too and I have no problem wearing them for long periods. 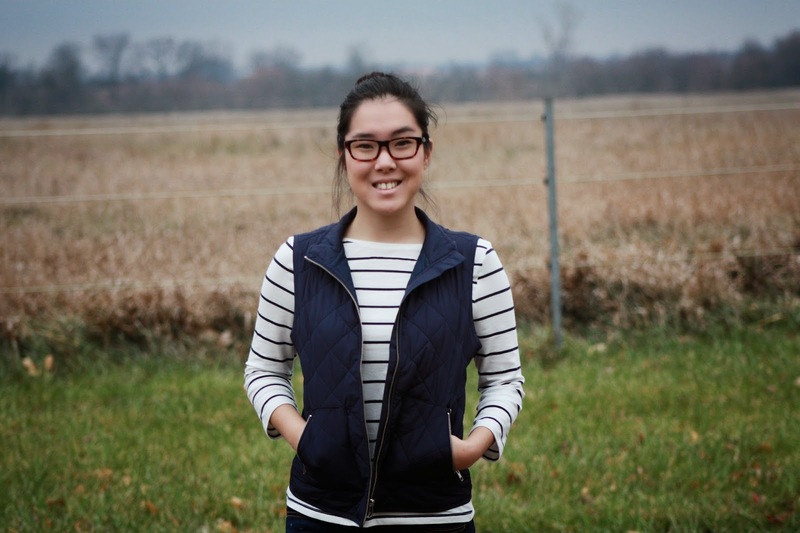 You can never have too many striped tees and this one is my favorite. It's a 3/4 length boatneck tee from Target. I particularly love this one because it's not ridiculously long. It hits perfectly just a bit below my waist. It's also super comfy so that's always a plus! 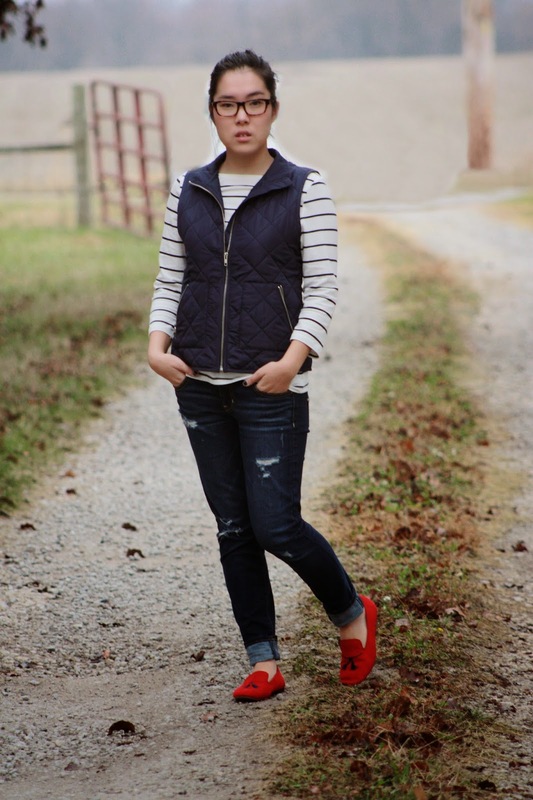 Like you've probably seen on the million and one fashion blogs these vests. They're just great pieces to have! I have 3 and wear the tar out of them. 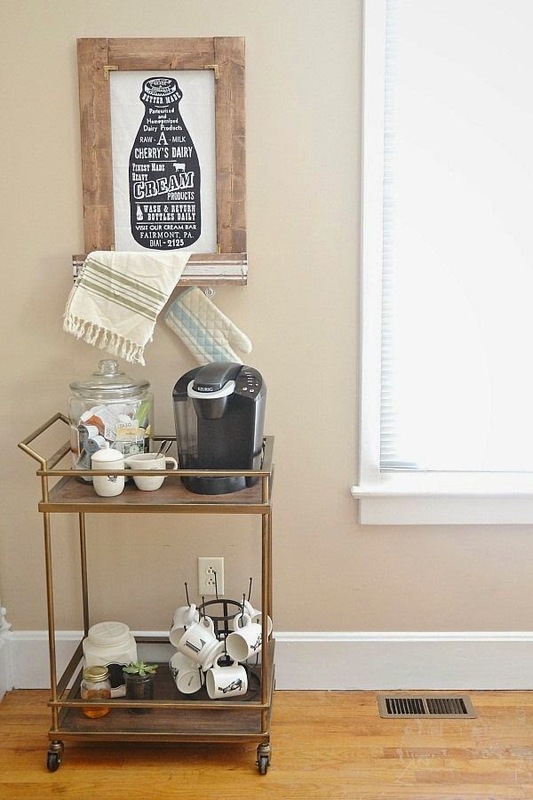 This one is a lot lighter than my other two and it's great for when the temperatures aren't super cold but you still want a little something extra. 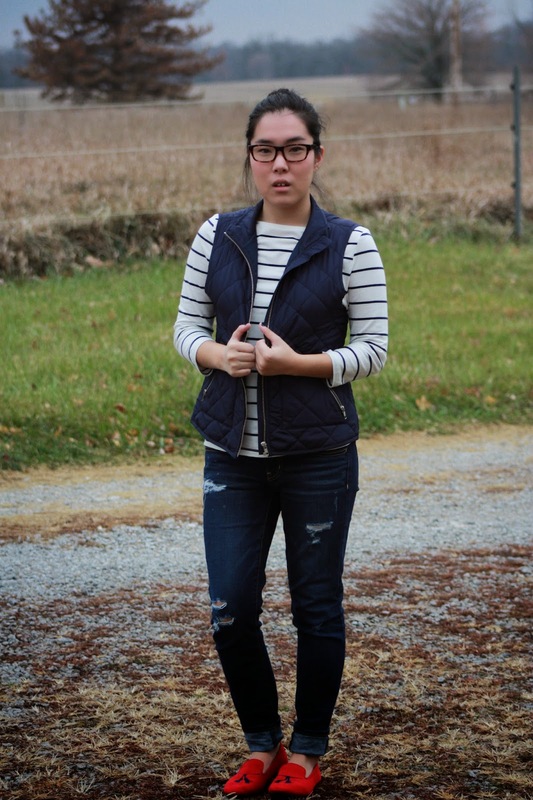 Tee: Target// Vest: Loft (similar here and here)// Jeggings: American Eagle// Loafers: Old Navy (I couldn't find any similar :( )// I love simple outfits like this. 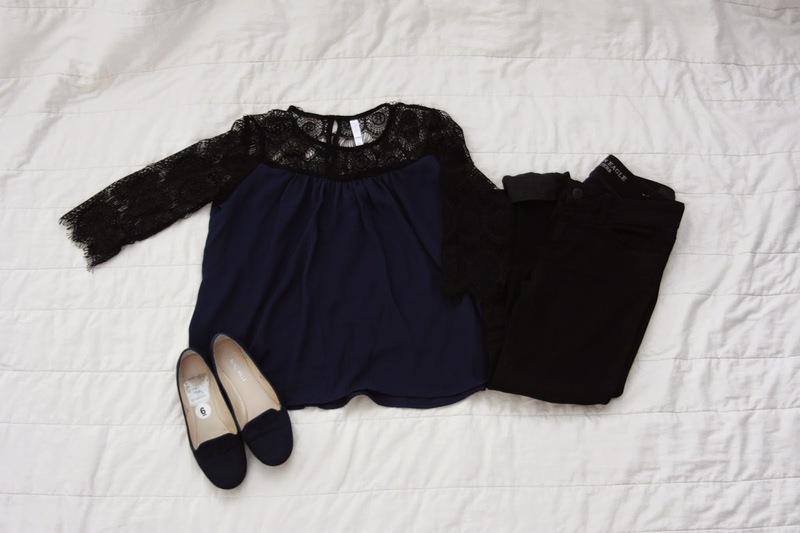 It's one of my go-tos; a tee, jeggings and flats. 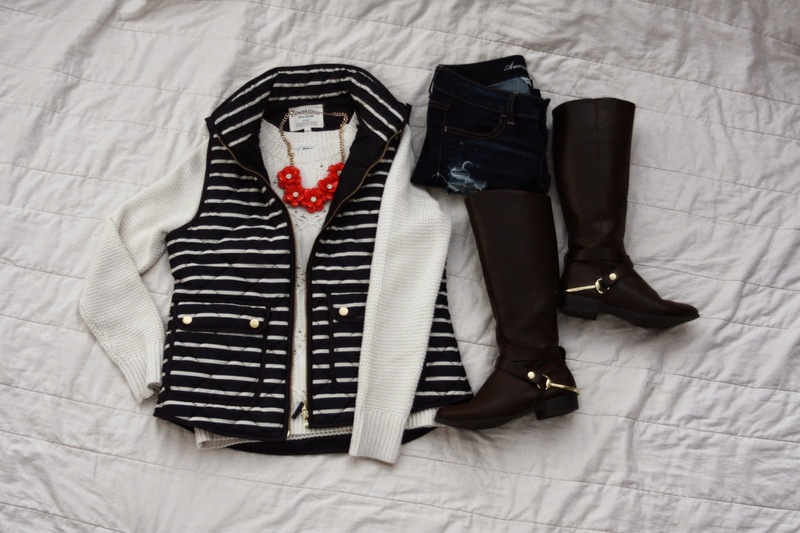 Throw on some outerwear or jewelry and boom you have a cute and comfortable outfit! I'll definitely be wearing this a lot but with more layers. Haha! What are your go-to outfits? Let me know in the comments or by tagging me in a photos @samantha_goble for Instagram and Twitter! 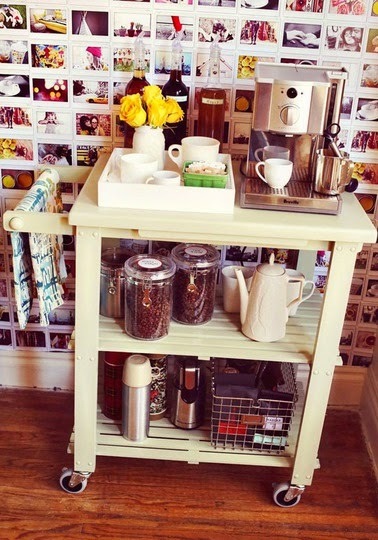 I seriously need my own place so I can throw dinner parties. I think dinner parties are fun and fancy and something that needs to be brought back. They combine good food, good friends and equal a good time! 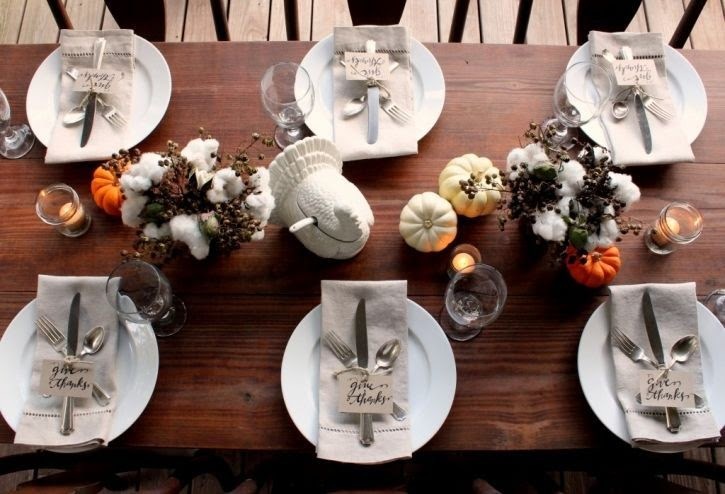 Today I was thinking how I would decorate my table if I threw an autumn/Thanksgiving/Friendsgiving dinner party. 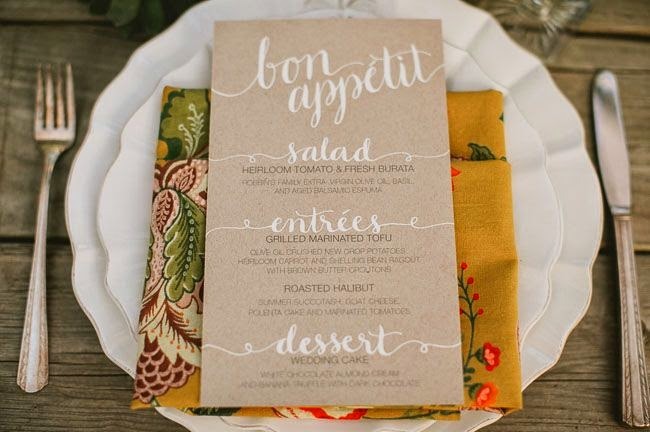 So I went to my favorite place, Pinterest, to find some tablescape inspo. 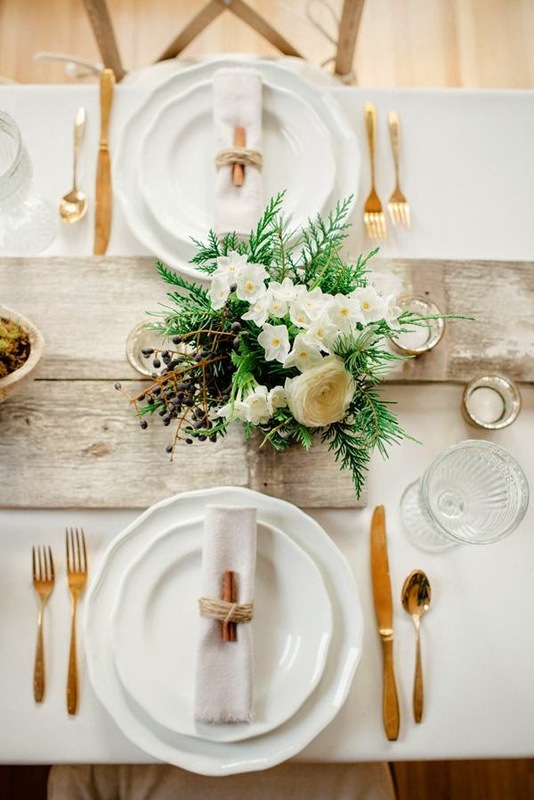 My theme is simple, elegant and rustic. My color scheme is gold and white with pops of orange. 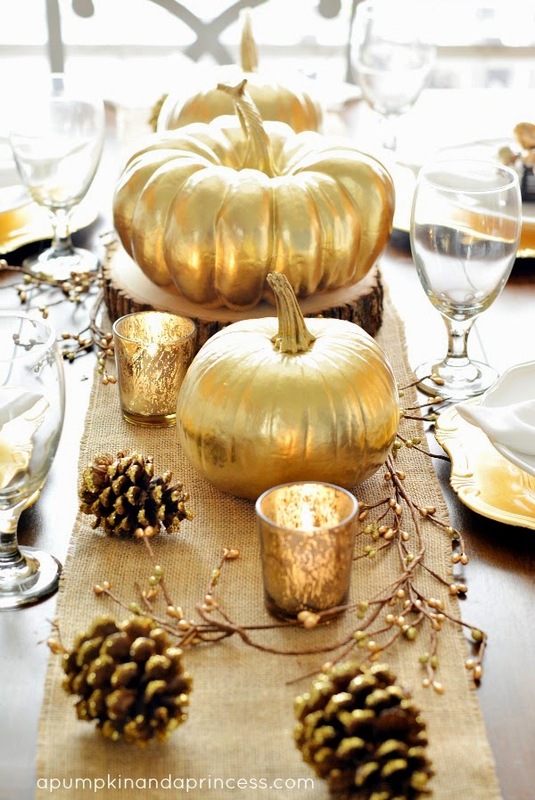 I'm a huge lover of gold and white for the fall time. I think it's so clean and elegant, yet still festive. I love the gold charger! 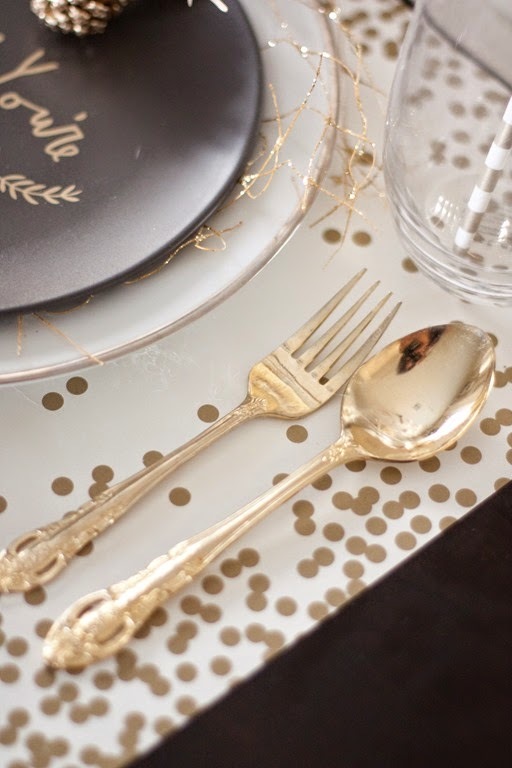 Love the gold silveware and polka dot placemat! 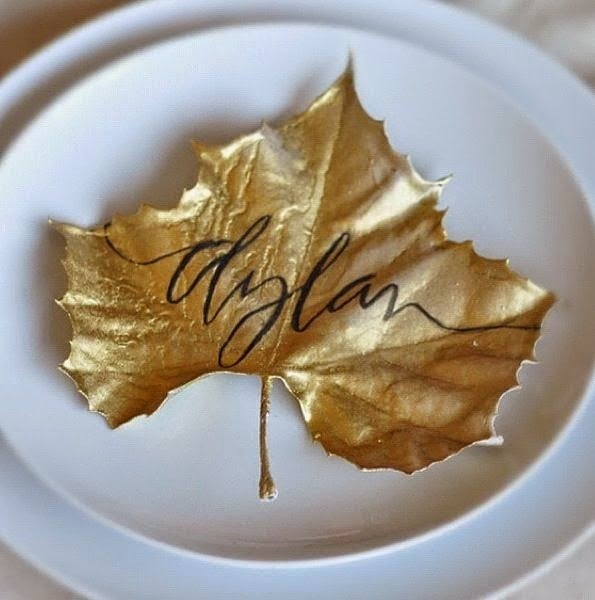 I would use the gold painted leaf as part of the centerpiece not a name card. 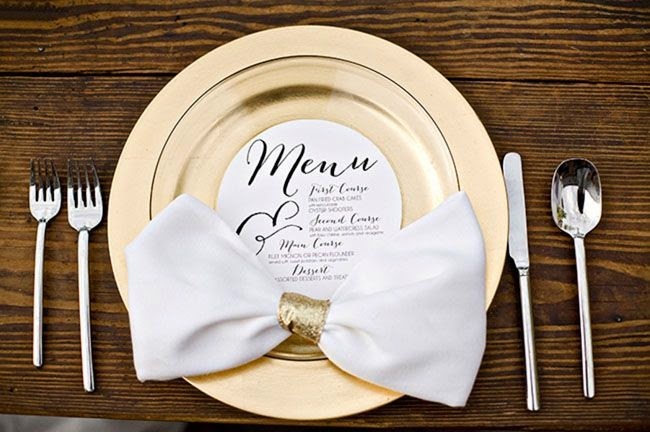 Love the crispness of the white and gold together! 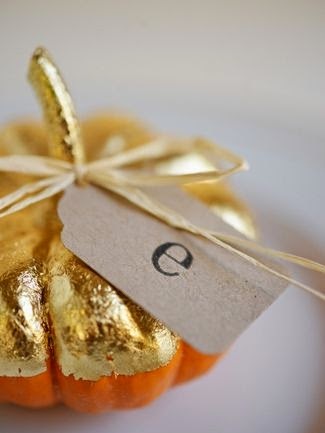 Instead of just the letter I would write the entire name but I love the gold foil pumpkin! 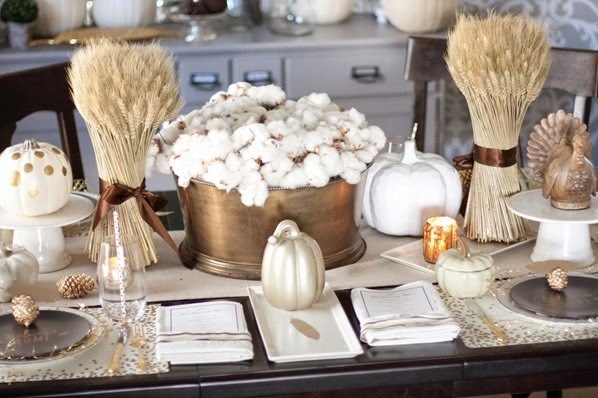 This is probably as close to the tablescape I have in my head. 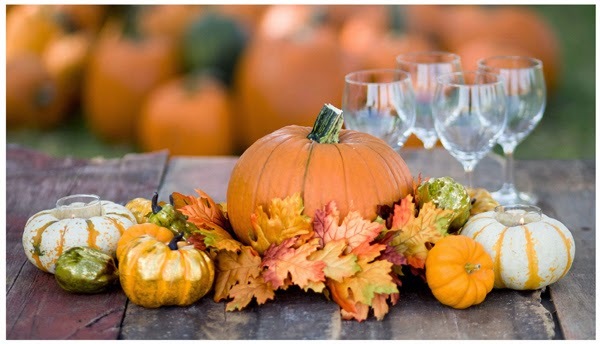 Just imagine the leaves and some pumpkins pained gold! If I were making dinner this is the menu I would serve! There would be cocktails, cranberry spritzer, before dinner, non-alcoholic of course served with some h'ordeuvres like apple, honey and brie crostini. 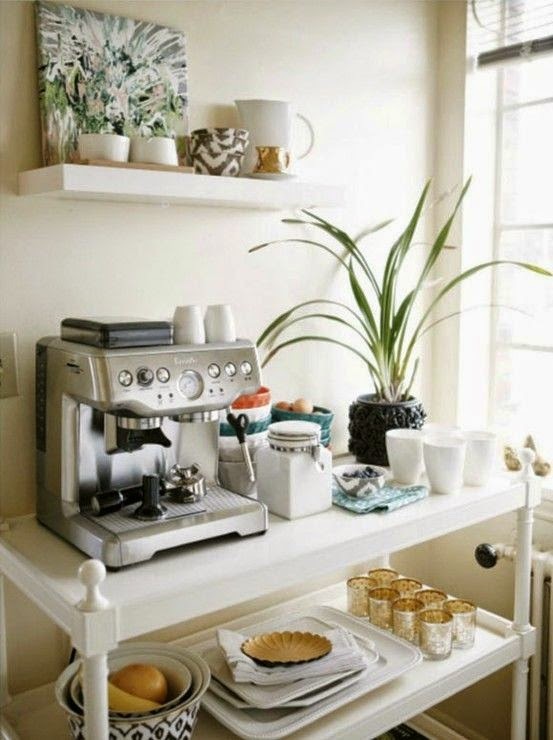 Then we'd move to soup, then dinner and finally dessert served with coffee and tea. 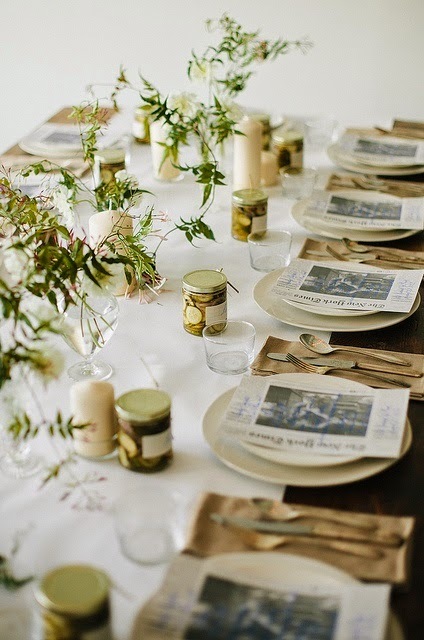 How perfect would this dinner party be?! 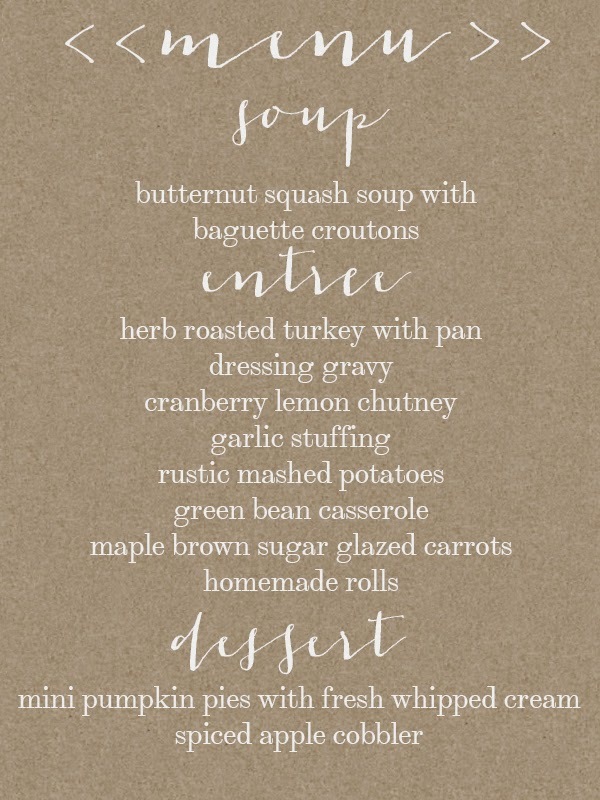 I need my own place so I can throw this perfectly planned Thanksgiving dinner. Perhaps next year it'll happen. Who knows! "i try to greet my friends with a drink in my hand, a warm smile on my face and great music in the background because that's what gets a dinner party off to a fun start"
Guys I've had an epiphany, a eureka moment, I've seen the light... 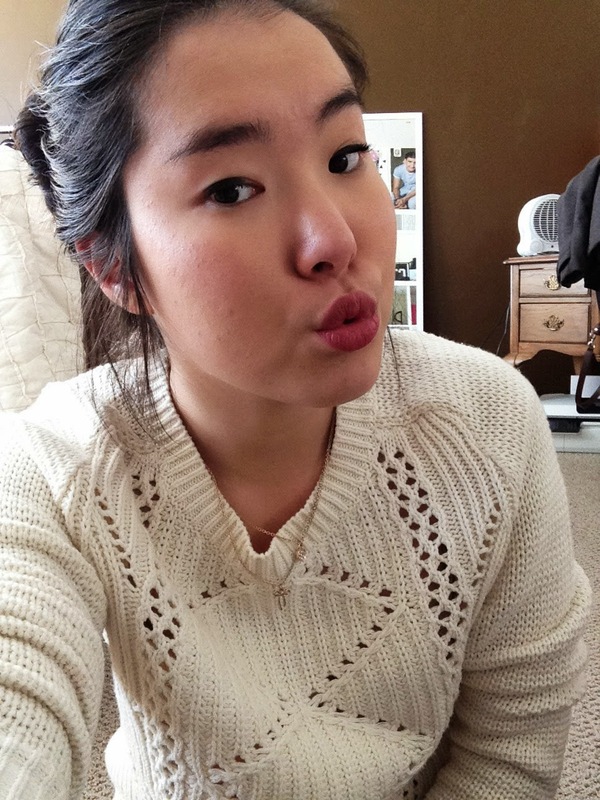 I have found lipsticks and that I love them! 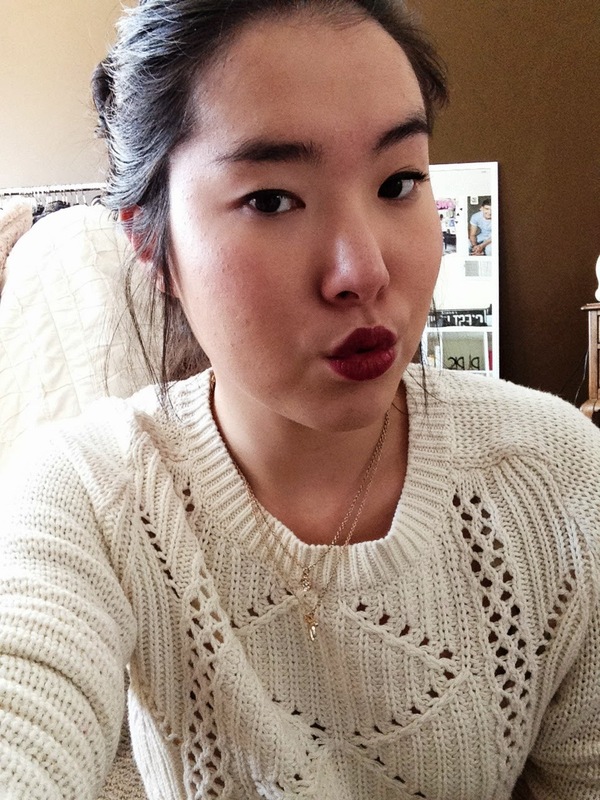 Last week I decided to wear lipstick because I was going out and wanted a little something more with my outfit. Holy I'm obsessed with them now! I need all the lipsticks in my life. So far I have a handful but I'm slowly expanding my collection. 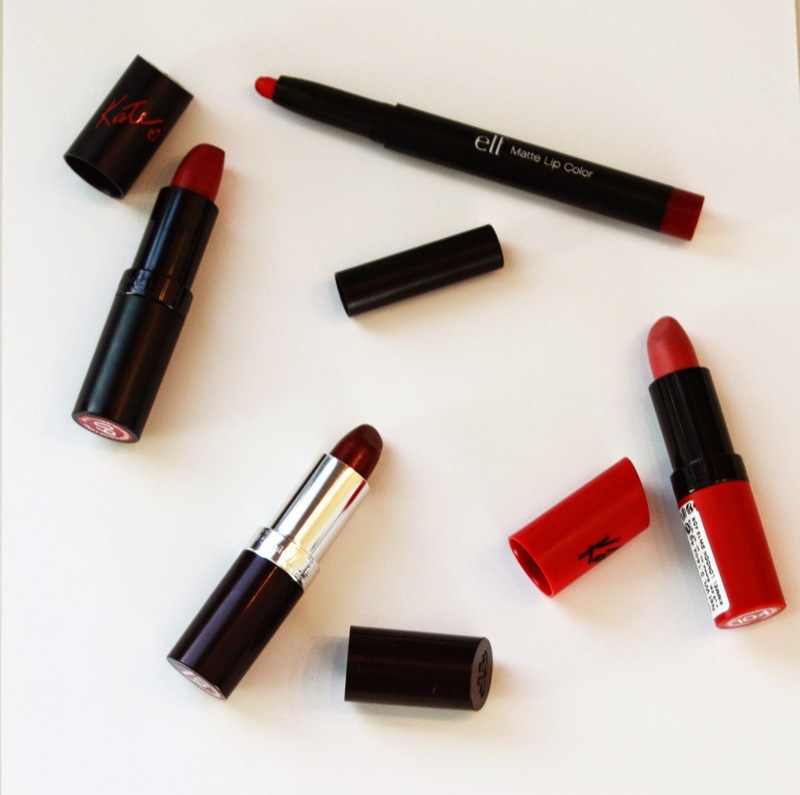 I've heard amazing things about the NARS Audacious lipsticks and that's next on my list to get. I neeeed it. Anyways, today I thought that I'd show my favorite lipsticks that I've been wearing pretty frequently! I only have 4 but I feel like these colors are the basic shades for the wintertime. 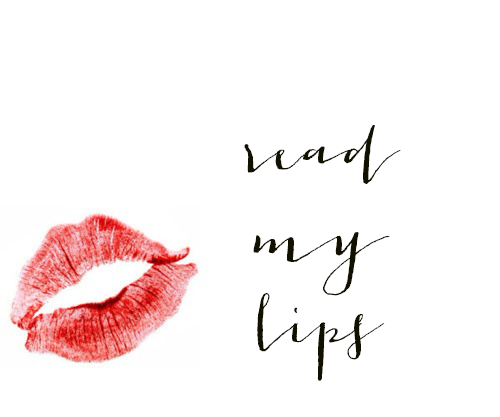 You have a classic red lip, a dusty pink, a berry and deep wine color. I bought all of these at Target, but you can find the Rimmel ones anywhere; Walmart, CVS, Walgreens, Ulta and the e.l.f one at Target or online. All the colors were under $5 and for the quality a steal of a deal. I'll get into that later. This is no. 9 by Rimmel by Kate Moss. This is a gorgeous, reddish, berry color. It's a very opaque color and only takes one swipe to achieve the deep shade. It's the regular finish but I wore it as a matte and it looked absolutely gorgeous too. I will say that it is a bit drying on the lips after awhile so definitely wear a lip balm under. Like no. 9, this is also a Rimmel by Kate Moss in no. 104. It's a pretty dusty, mauvy pink. I think this is the perfect winter pink color. I wore this while running errands today and it's a great everyday pink shade. This is the matte finish and it's also a bit drying so wear a lip balm under too. This is Bordeaux, no. 124, by Rimmel. This is suuuch a beautiful color that pictures don't even showcase the color. This is the definition of a deep wine color, thus the name. This is from their regular lipstick line and is more of a creamy texture. The only thing I don't like is it does settle into the fine lines of the lips so wearing a lip balm is a must. I've heard that it's a dupe to MAC's 'Diva' lipstick so if you're looking for a less expensive option I'd definitely recommend checking it out! 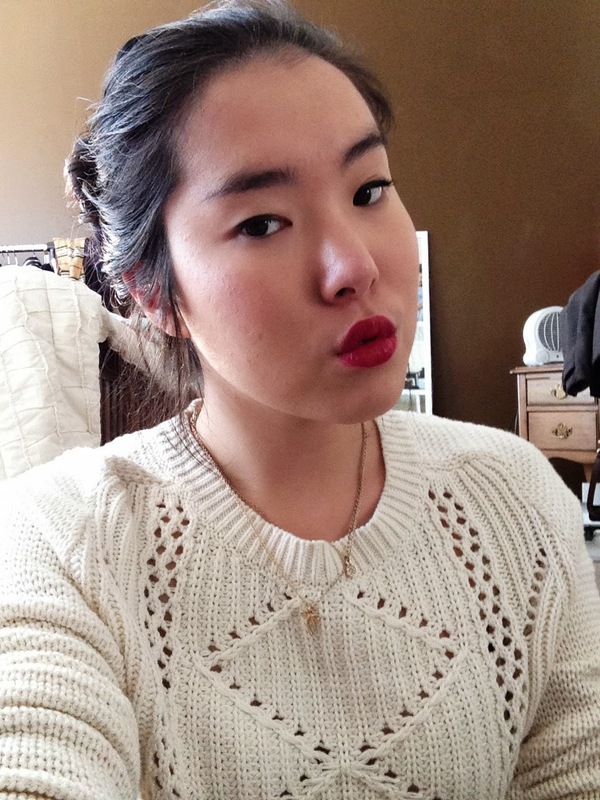 I had been looking for that classic, bright red lipstick and I found it. 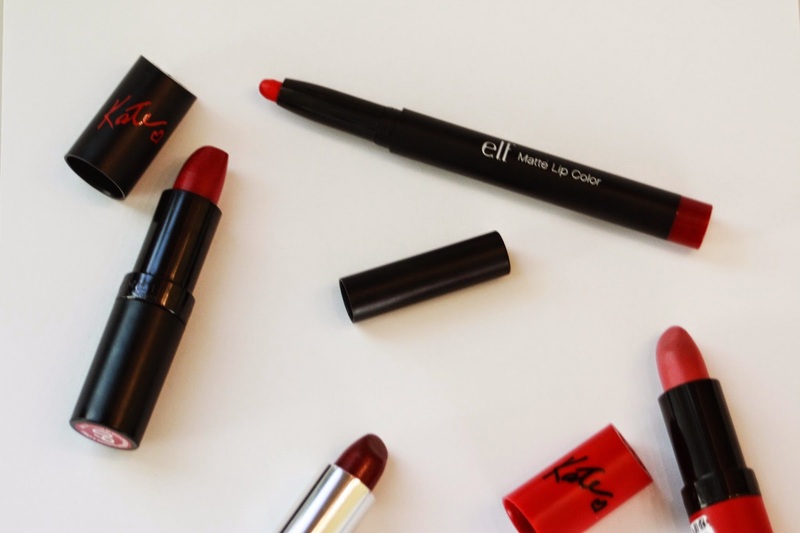 This is the matte lipcolor by e.l.f and it's the most gorgeous shade of red ever! It's a fire engine red that goes on like a dream. It's not as drying as the other matte color but I still apply lip balm. 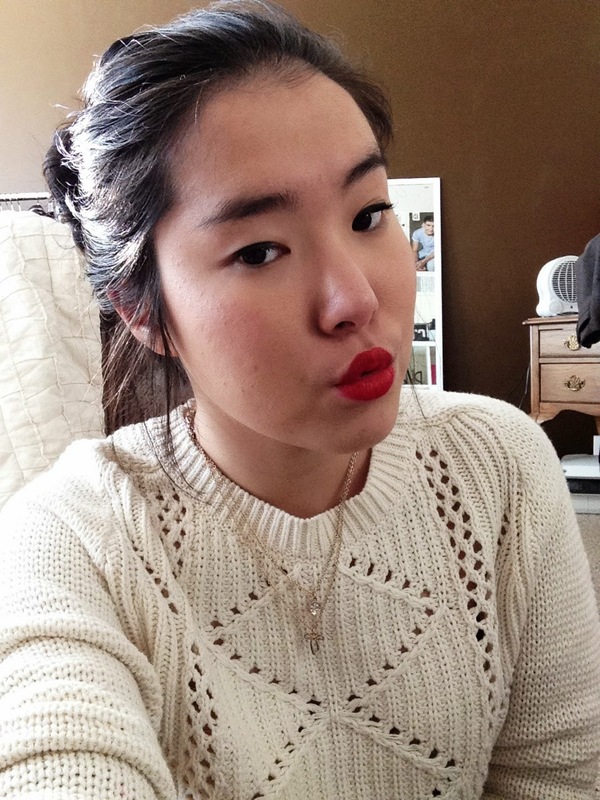 I am absolutely in love with this color and it's the perfect holiday party red lip. I love the packaging too; it's a pencil form which allows for precise application. Here are swatches of the colors. I tried my best to get an accurate color but they might be a tad off since I'm new to the whole beauty blogging sphere. As you can tell I love the Rimmel lipsticks and will be picking up more in the very near future. The quality doesn't seem like an under $5 quality, it feels like a high end lipstick. I love the Kate Moss collection and highly recommend checking them out if you're looking for some new colors! Here's an article about the do's and don'ts of applying dark lip colors that I found pretty handy when wearing these shades! "give a women the right lipstick and she can conquer the world"
I love stickers. I've always loved stickers ever since I was a kid. I would save the 'cool' ones and I had a box chalk full of them. Fast forward to now and I still collect them, except instead of princesses and horses it's Vineyard Vines and Southern Tide. Today I'm going to share with you guys tons of companies that will send you free stickers! Because really who doesn't love free stickers? Most of the companies will send you some if you just ask. I emailed them and said that I was a huge lover and supporter of their brand and wondered if they could send me some stickers so I could show off my support. They emailed back asking for my address and within a few weeks I had some sweet new stickers! 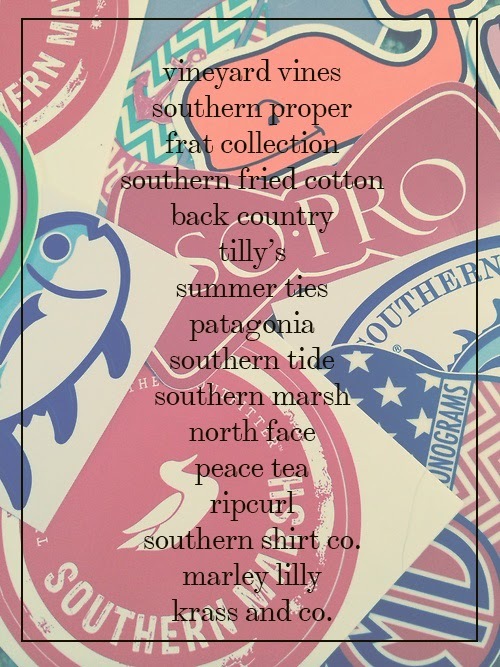 With the exception of Fraternity Collection (send a self addressed letter with stamp) and Marley Lilly (free but you pay shipping) the rest will send you stickers free of charge. Most of them if you buy their products they send stickers as well. "you can never have too many stickers"
Thanksgiving is next week (YAAAS) and that means finding an outfit that's both comfortable yet cute. 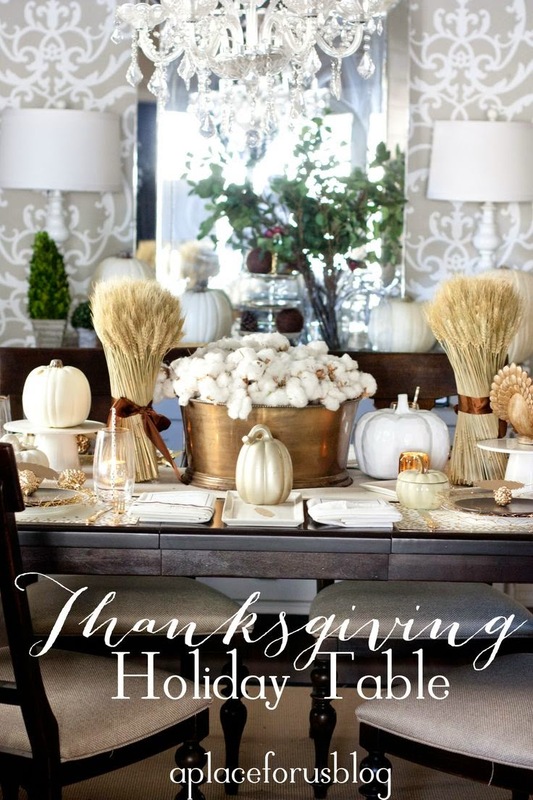 Thanksgiving is one of my favorite holidays, namely for all the delicious, home cooked food. I eat my weight in turkey, stuffing, green bean casserole and pumpkin pie. But no one wants to be uncomfortable after dinner due to tight jeans or tops. That's just a sin on Thanksgiving. 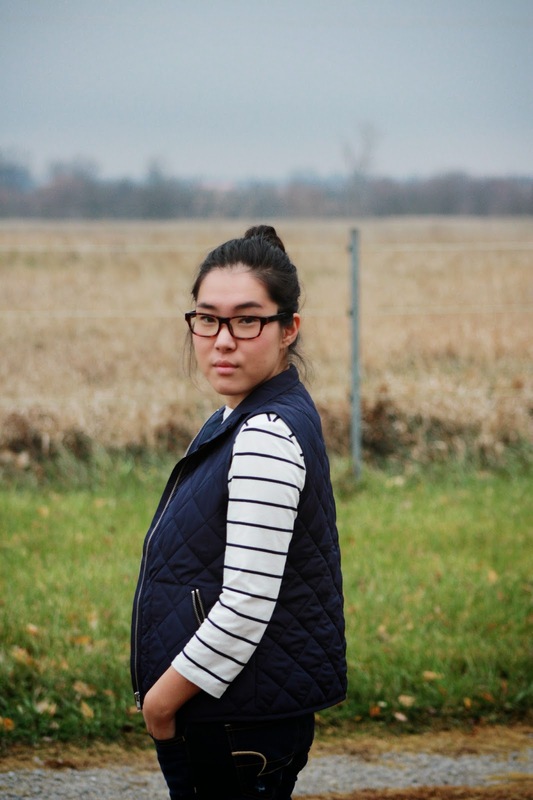 So today I'll be showing you 4 outfits that are Thanksgiving appropriate in comfort and style. Oh and these outfits are all possible contenders for what I'm actually wearing on Thanksgiving! I got this sweater from Target this past week and omg I'm obsessed with it. I've worn it pretty much every time I've gone out. It's a 'cropped' sweater but not ridiculously short. I love the color and the cowl neck and it's just super comfy and warm. Paired it with my favorite plaid, black jeggings because real pants are lame and my brown booties and I'm ready for the turkey. This is the dressiest outfit. My family is a very casual family and our get togethers are never really fancy. I saw this blouse on clearance at Target (score!) and couldn't pass it up. Its got a gorgeous, gorgeous lace detail on the arms and shoulders. The picture doesn't do it justice on how pretty it is. Paired it with black jeggings and my navy smoking slippers for a night full of food and family. This outfit is perfect is you're thinking about braving the cold for Black Friday shopping or you play a family football game outdoors. 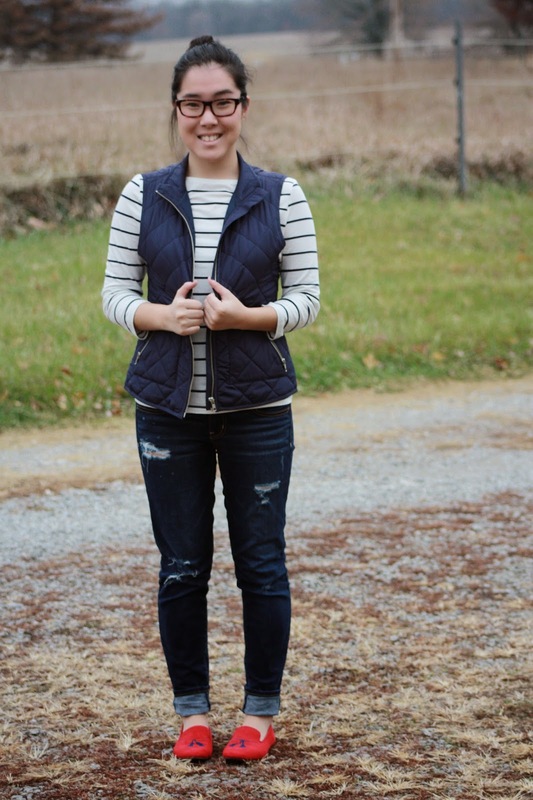 The thick cable knit sweater and vest keeps you extra cozy! 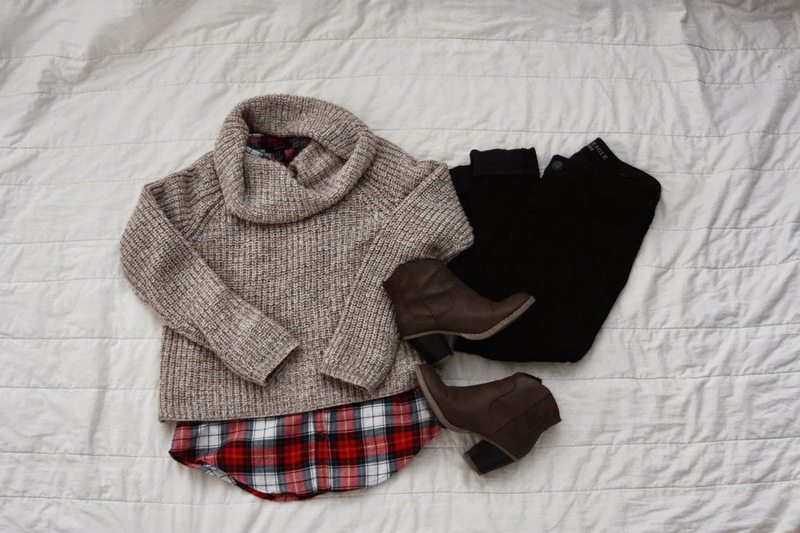 For added warmth you could throw on a button down under the sweater! 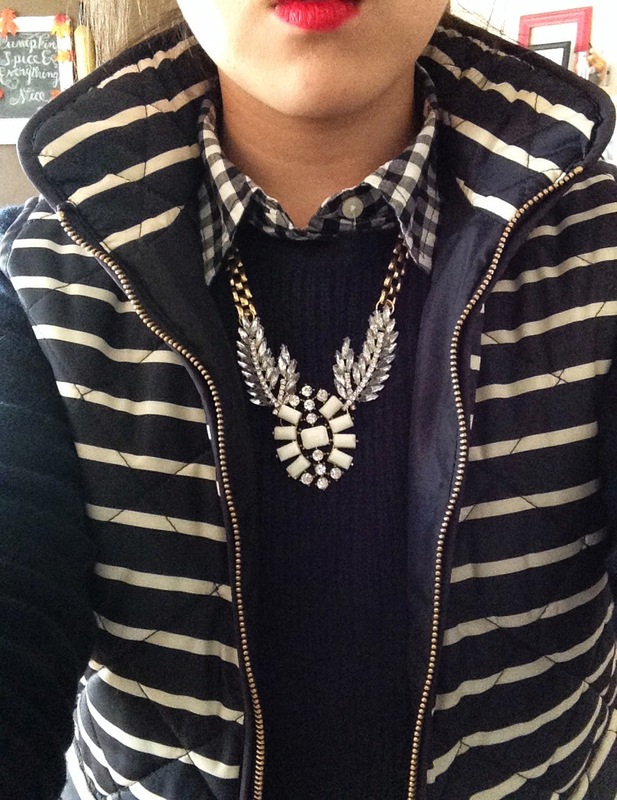 The necklace adds a bright pop of color to an otherwise very neutral outfit. 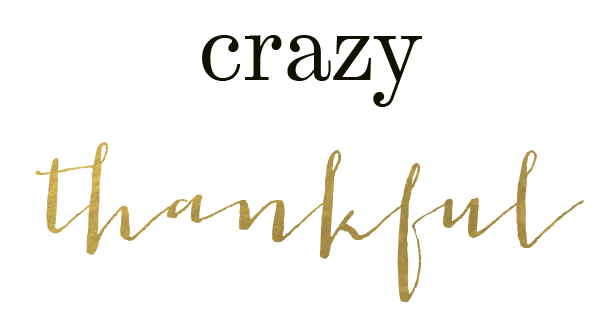 I hope these outfits inspired you for your own Thanksgiving outfit or gave you an idea of where to start! Just remember; comfort, comfort, comfort! Being uncomfortable after Thanksgiving dinner is just the worst. 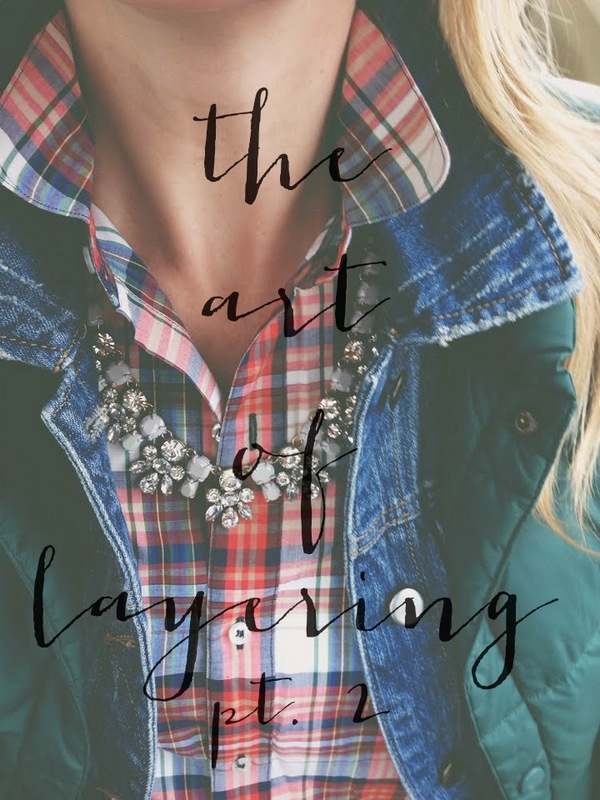 I promised you a part two to my Art of Layering and here it is! Check out part one here! Part two will consist of how I layer for the colder seasons. I noticed while I was putting together these outfits that most of the pieces I was layering with were patterned pieces. I'd layer two or three patterns together for my layered look. I have a post about how to mix patterns if you're new to patterns. Check it out here! I put together 4 looks so let's jump in! I love this look because it's dressy but still casual. One of my favorite 'tricks' to layering is staying in the same color #navyornothing and adding a pop of color to the outfit. I paired this blingy statement necklace and a red lip which pairs perfectly and adds the right amount of class and sass. 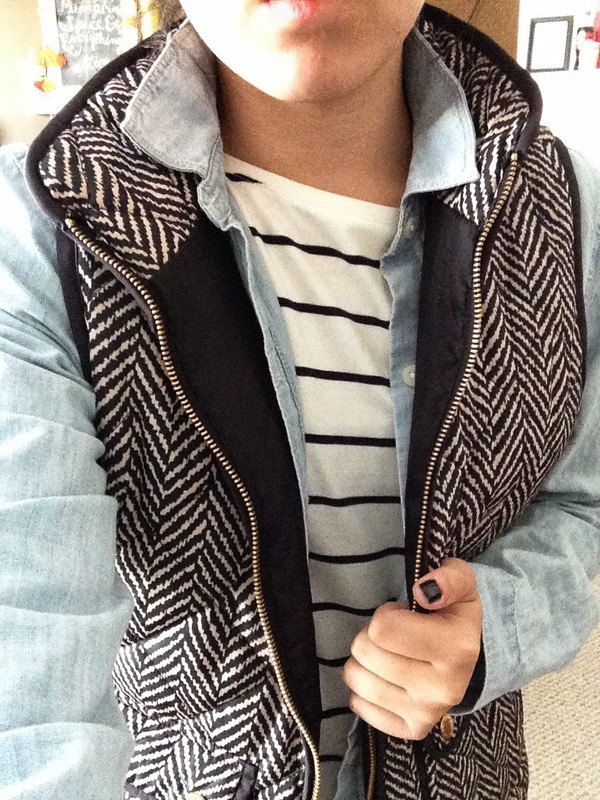 If you can't tell vests are one of my favorite pieces to layer with. 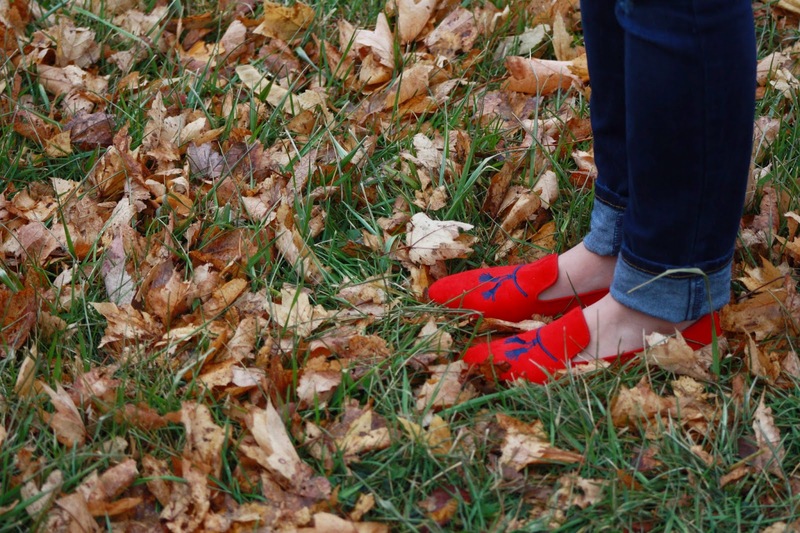 They're functional and stylish and add another element to an outfit. 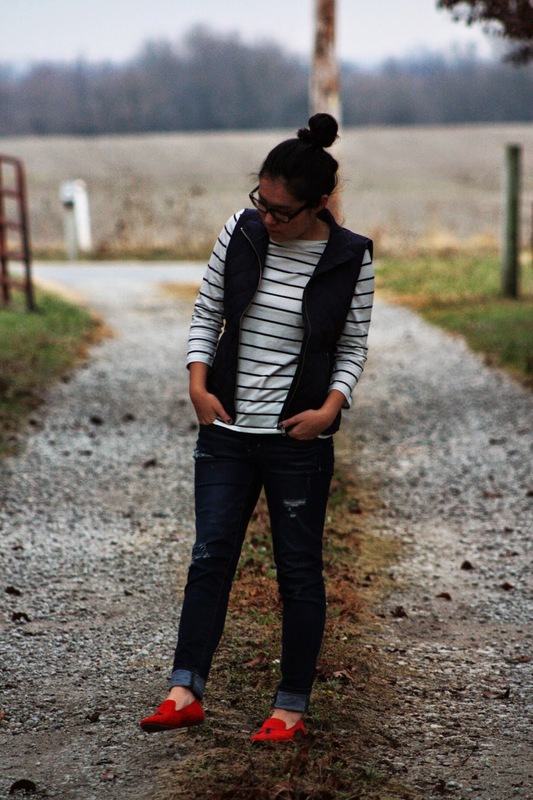 This outfit is very casual with the striped tee, chambray shirt and vest. I'd wear this if I was running errands or even to a casual lunch date. 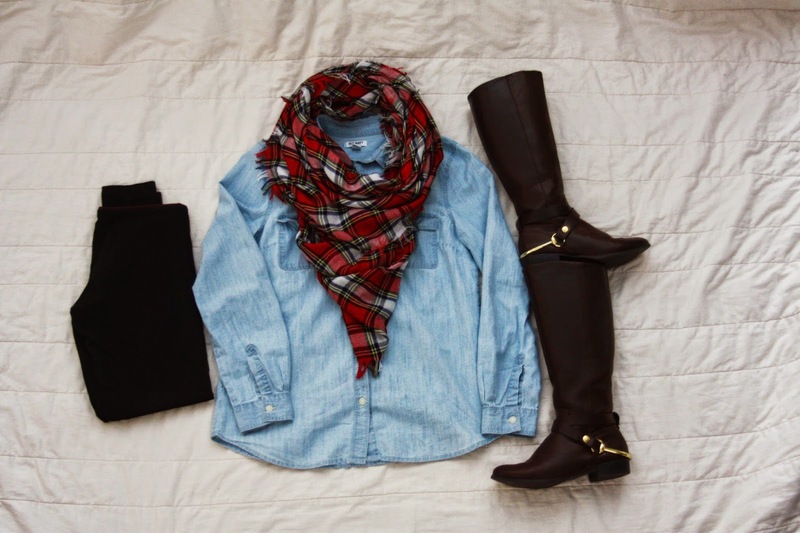 This is probably the most "dressy" outfit I'd wear that involves layers. 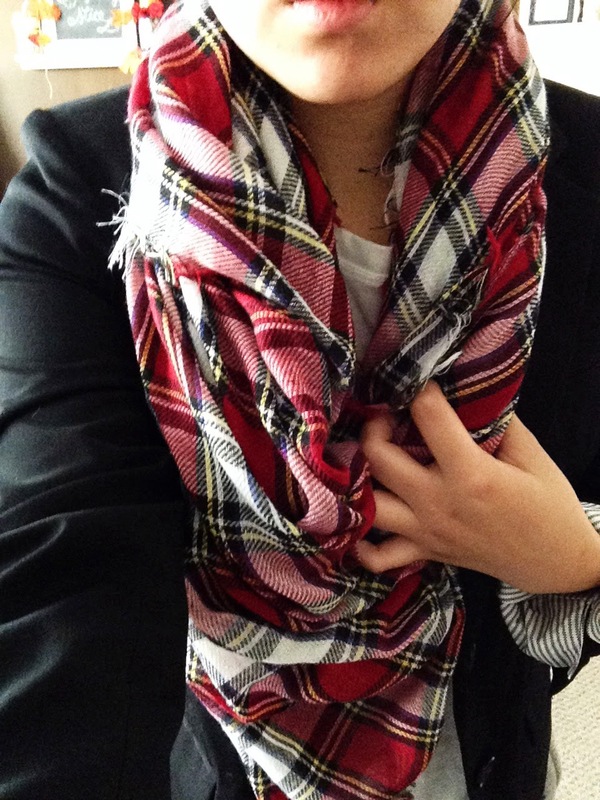 I paired a plain white tee with a black blazer and added my faaavorite blanket scarf for warmth and color. This would be a great outfit to wear to work or if you needed an excuse to wear a dressier outfit without being over the top! To me this is more of a masculine(??) 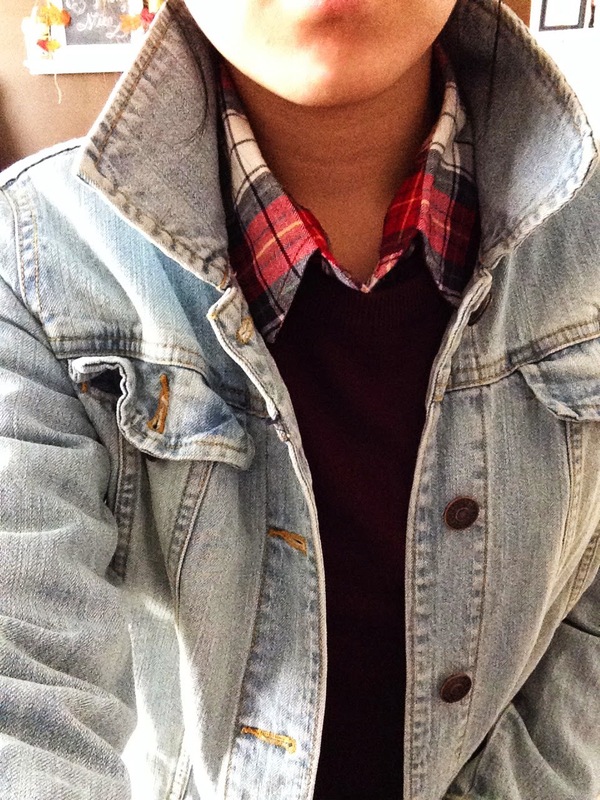 outfit with the pullover and denim jacket. (I have no idea why...) I wear my denim jacket all the time in the summer but never thought to layer it in the winter. I really like this look with the dark sweater and lighter jacket. It's a nice contrast and I'll definitely be wearing it this season. These are looks that I would/will wear 100% this season. 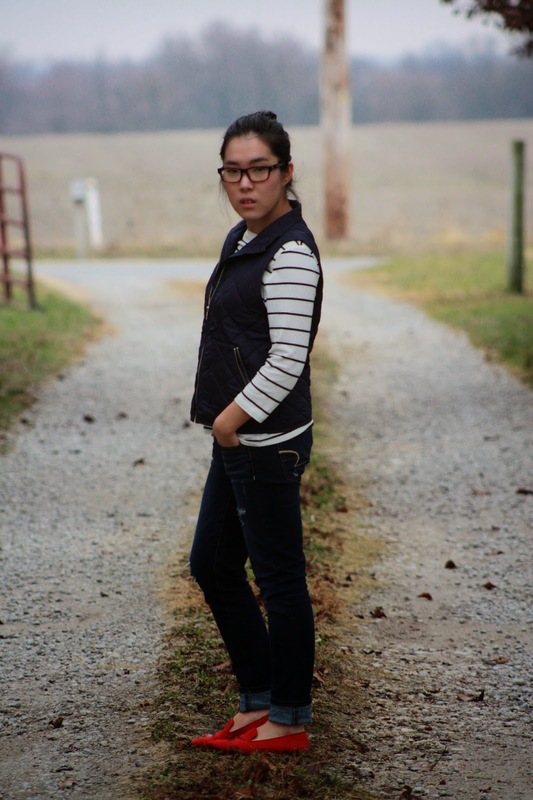 Follow me on Instagram to see more layered looks and other outfits that I wear!